The Knitter For a Briton, a knit is a part of life in almost all seasons. And they like to keep it distinct, unique and one of its kind. 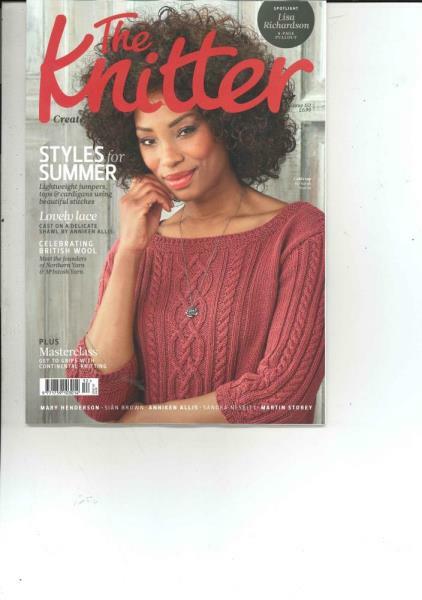 If knitting is your hobby, then tis magazine is for you, the Knitter. This magazine comes out once a month and showcases some amazing, unseen, and brand new designs from design peers that you can try on yourself and your loved ones. The Knitter carries some fresh and new designs from some famous world class designers that you must give a try. The step by step procedures are crystal clear and can guide even a novice through to the completion. The masterclass can guide you through the most difficult looking designs with ease. The cosy and classy designs on beautiful women and children bring out the content with lots of class. The colorful pictures of beautiful knits, fit for all seasons, fill the journal. The magazine not just shows designs for sweaters, but for many items of daily use and decoration. Who knew that a beautifully knitted necklace could change the way you look with understated class or that you could make your own wallet with some bright and colorful wool. Socks, gloves, sweaters, shawls, cardigans, throws, cushion covers, bedspreads, mufflers, cellphone covers and a million other big and small items you can dream of, it is all there in the Knitter. Contests and competitions are held which you could participate in. Learn tips and tricks from some famous designers. Discover some great places to shop for your knitting supplies and get good deals. If you want to look distinct and original the next time you enter in to a room, you should subscribe to the Knitter. Grab Uk’s No. 1 knitting magazine today and transform the way your wardrobe and your belongings look.